This’ll cheer ‘em right up! 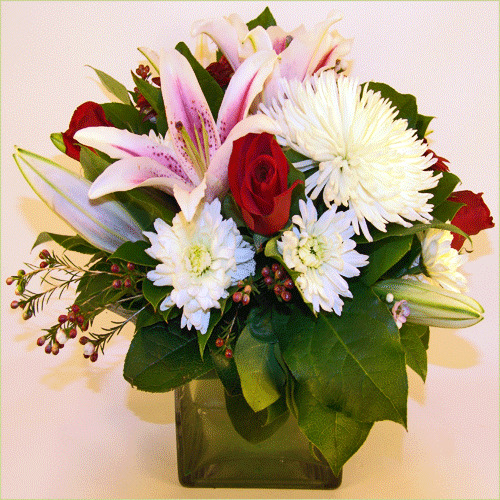 Stargazer lilies, spider moms, and roses lend the air of a happy union of friends! Standard Center piece includes 8 stems. Deluxe Center piece includes 10 stems. Premium Center piece includes 12 stems.